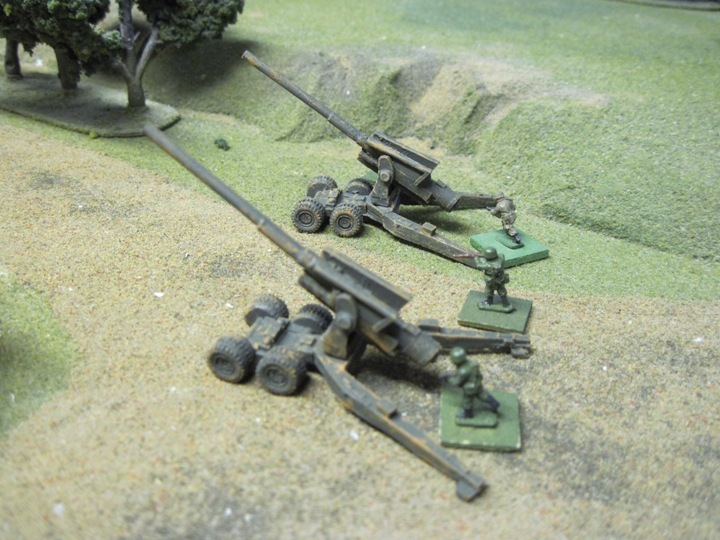 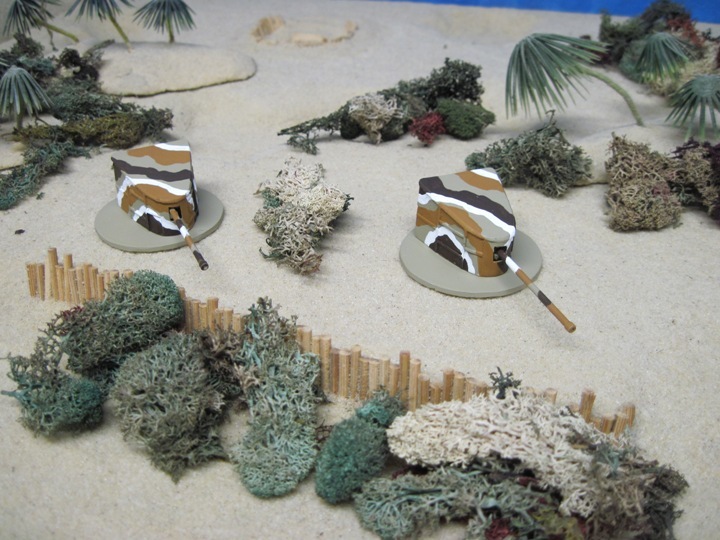 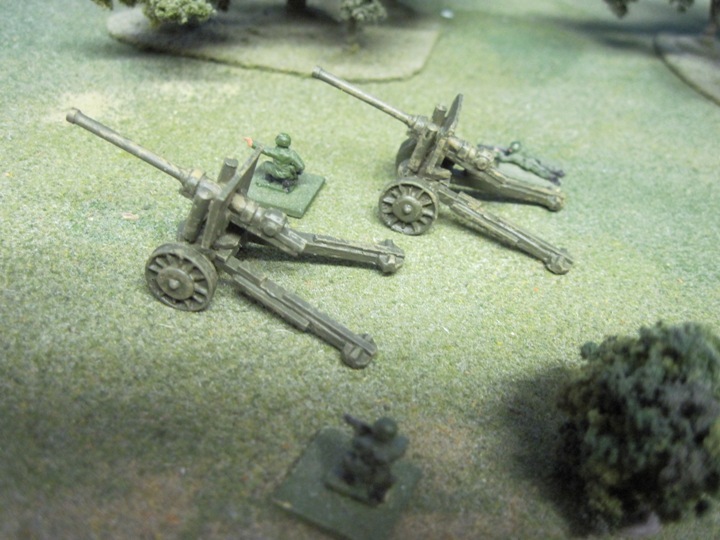 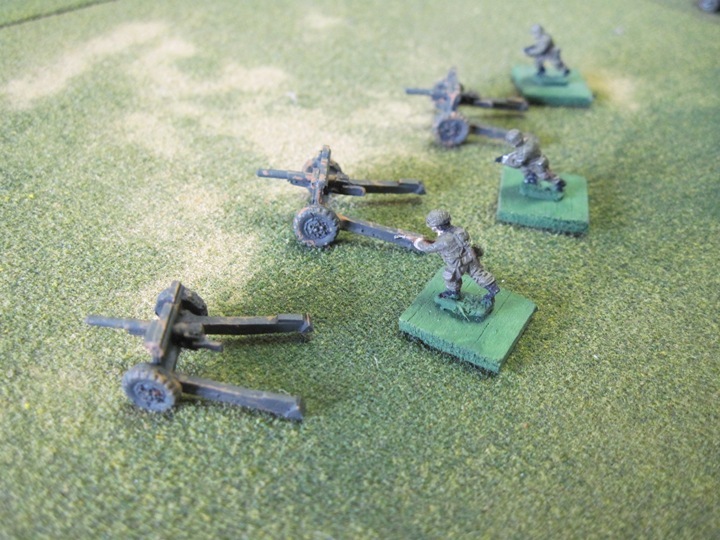 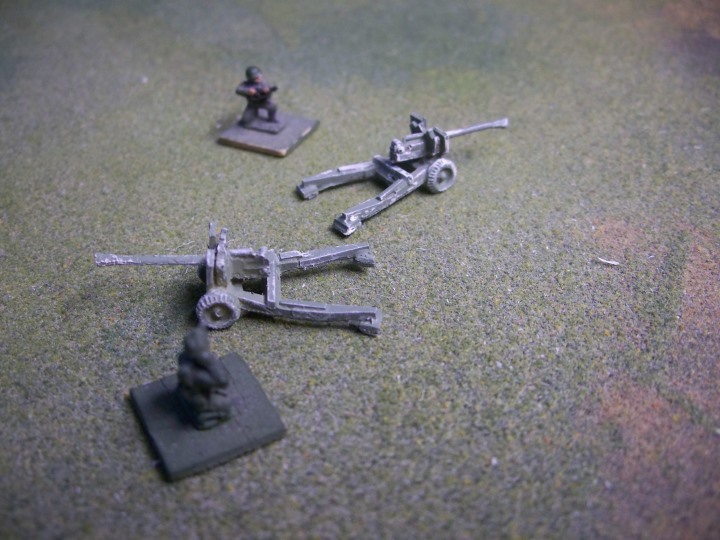 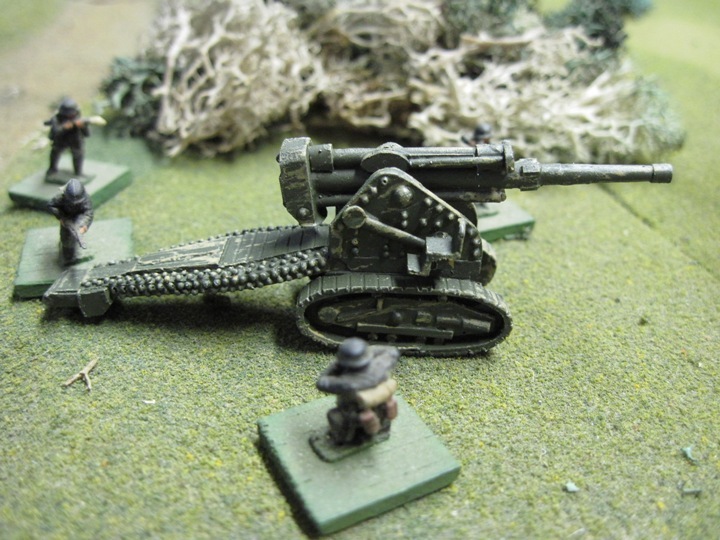 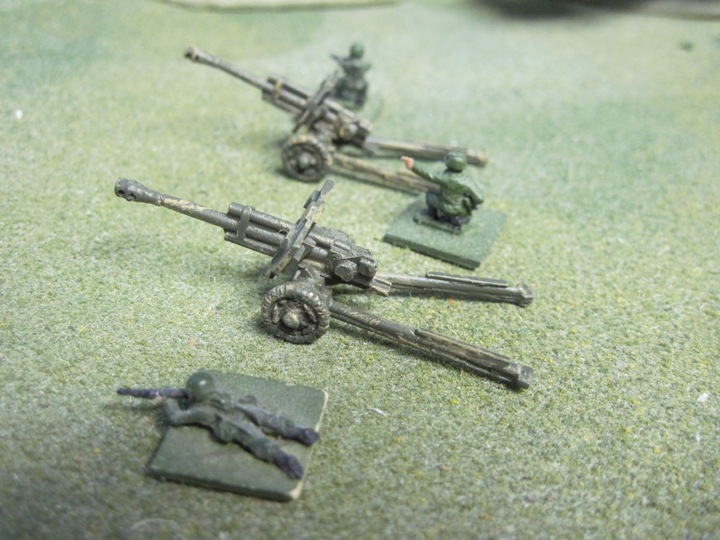 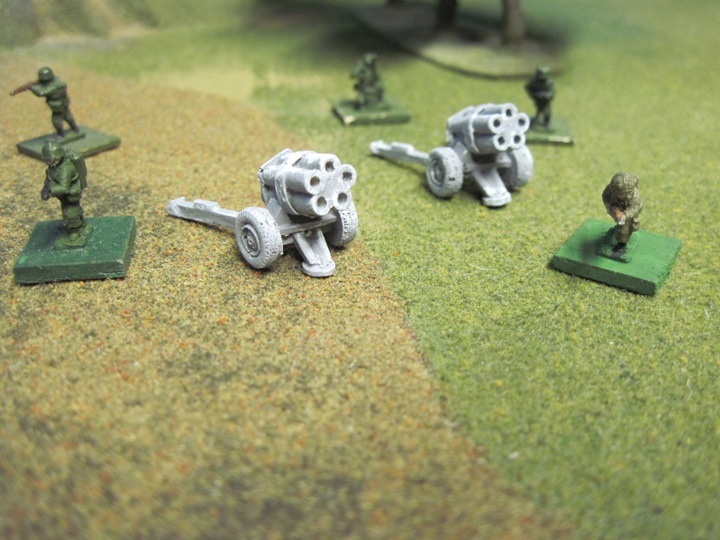 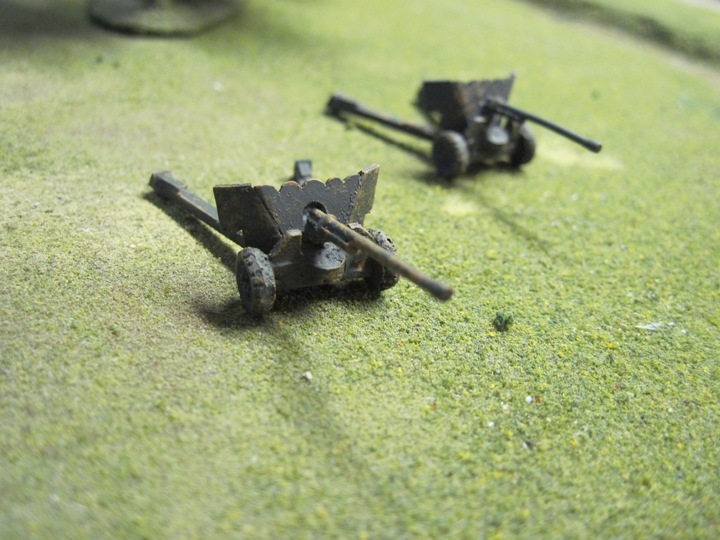 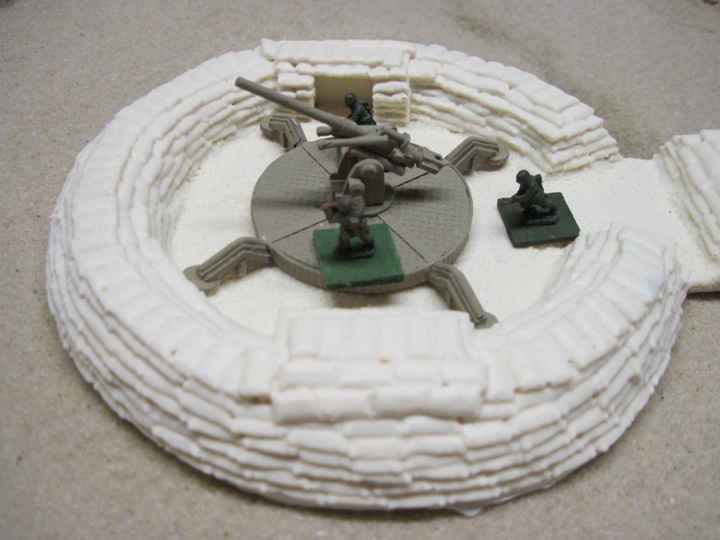 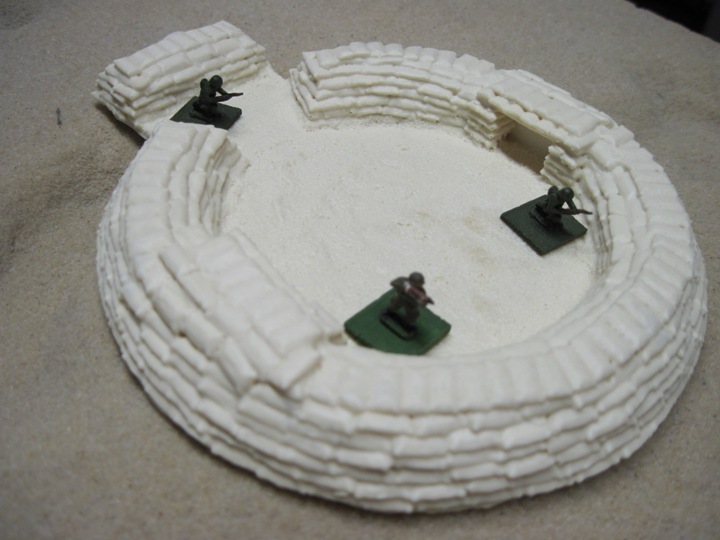 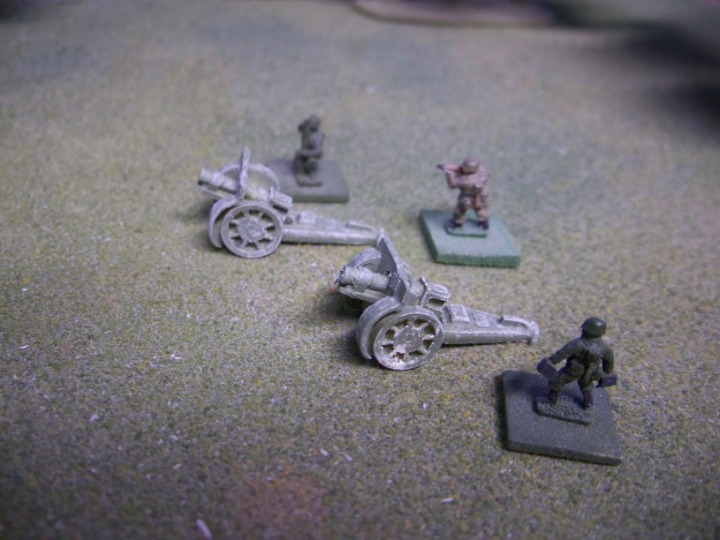 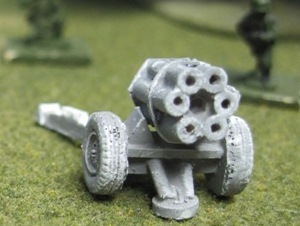 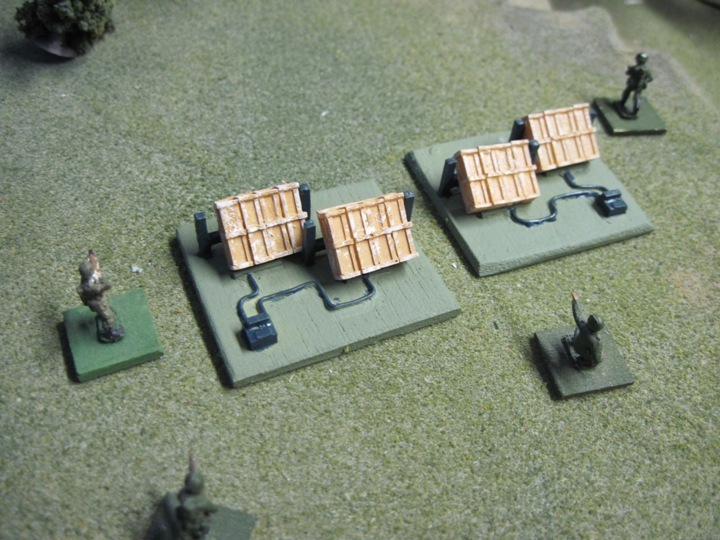 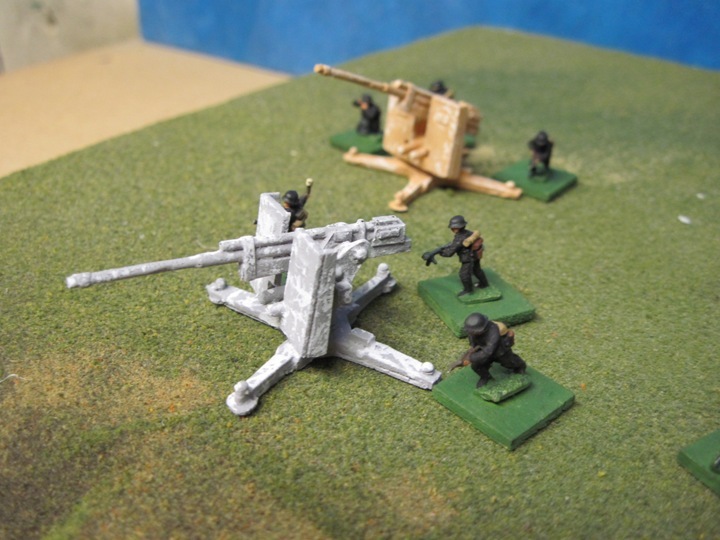 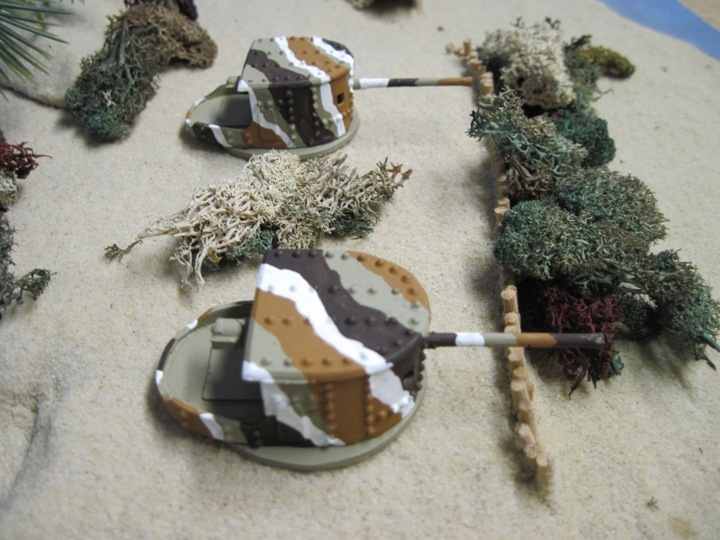 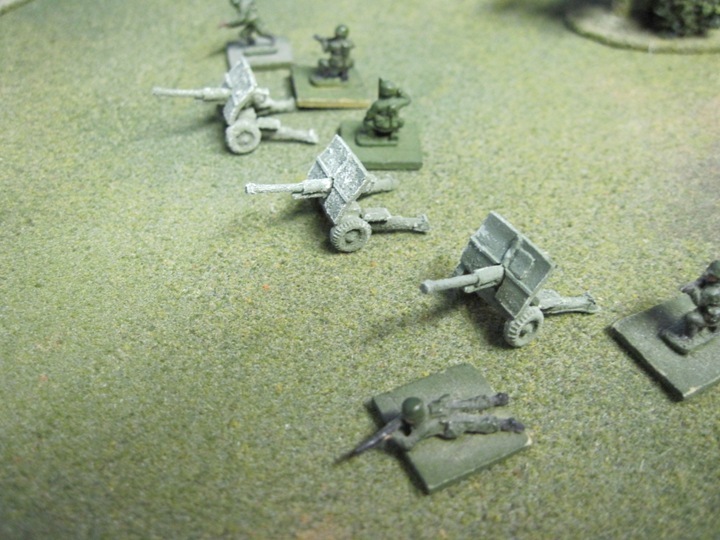 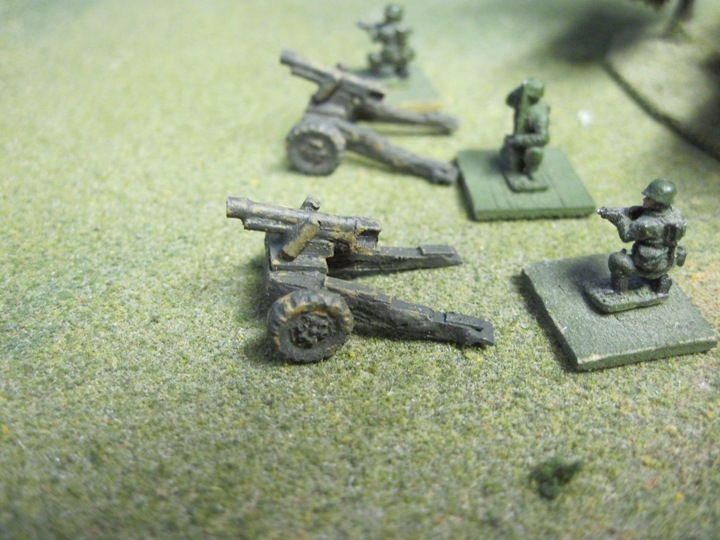 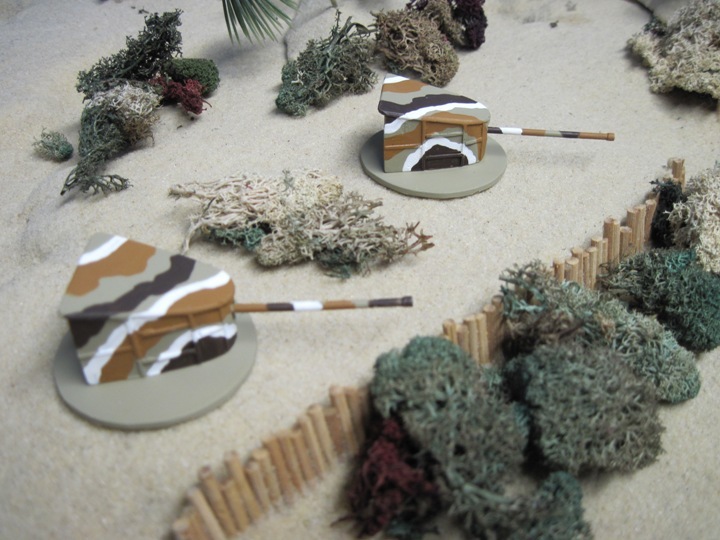 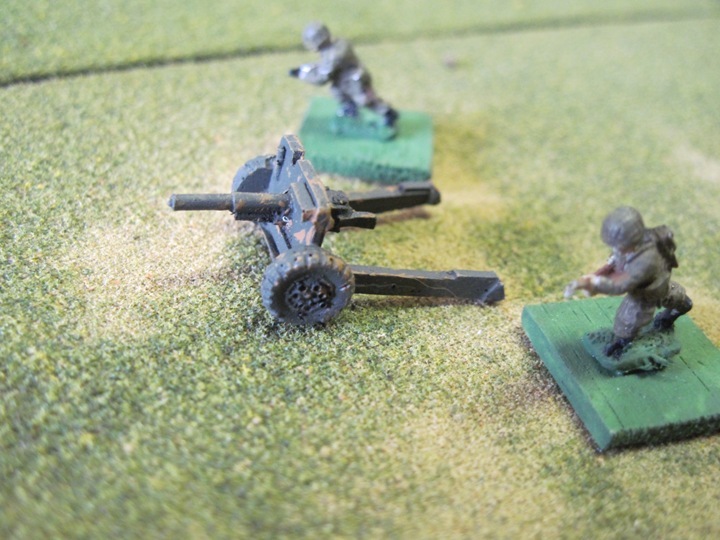 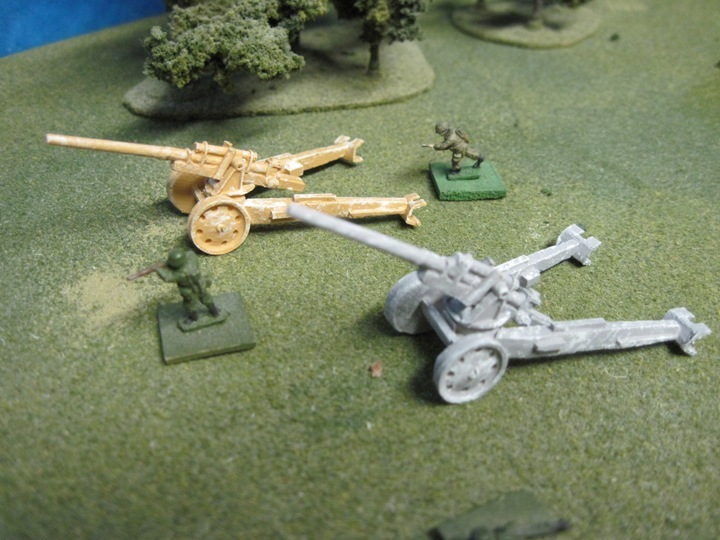 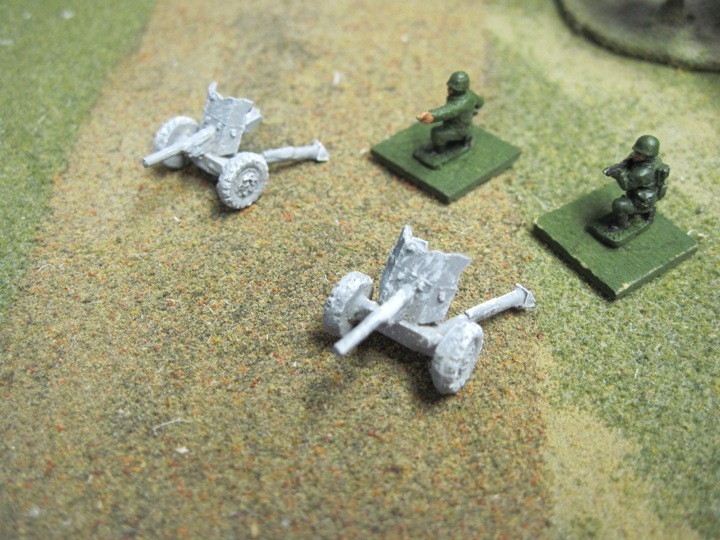 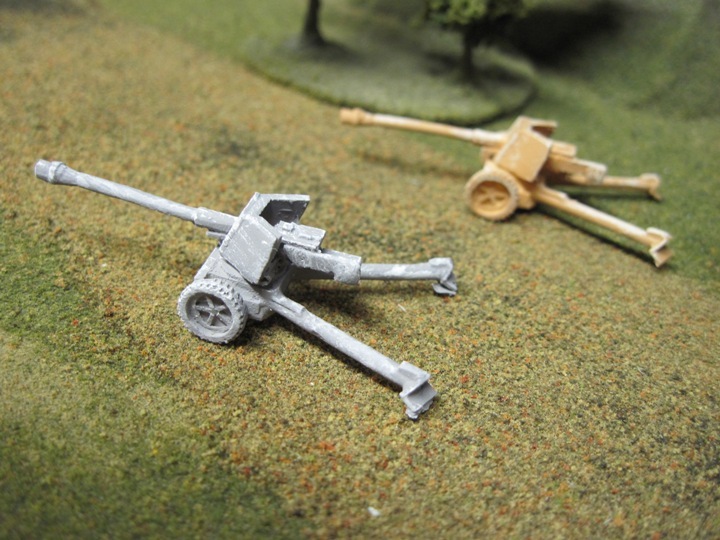 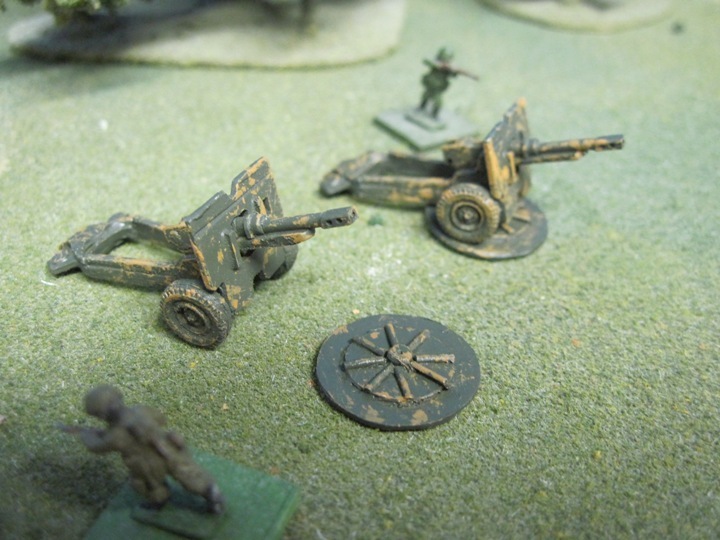 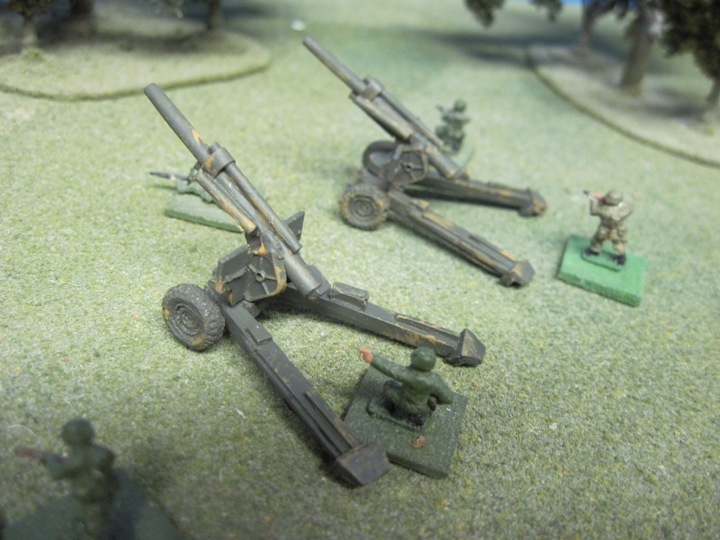 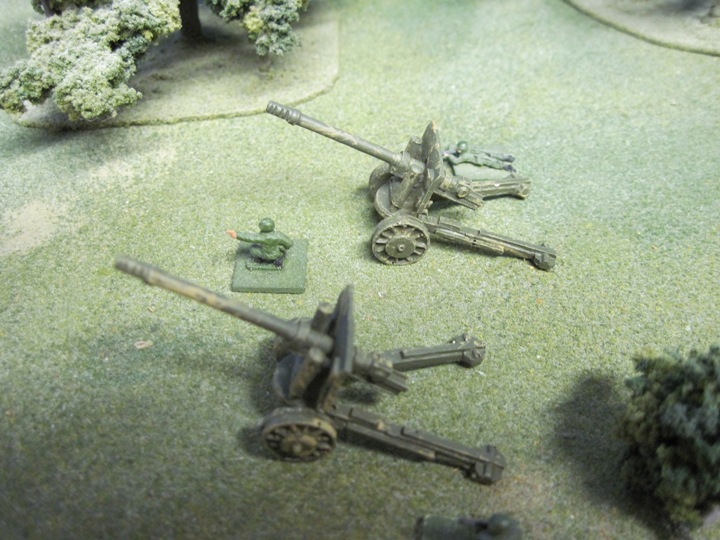 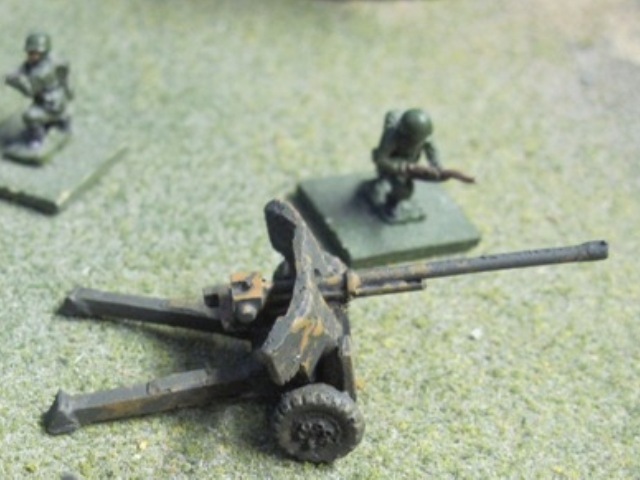 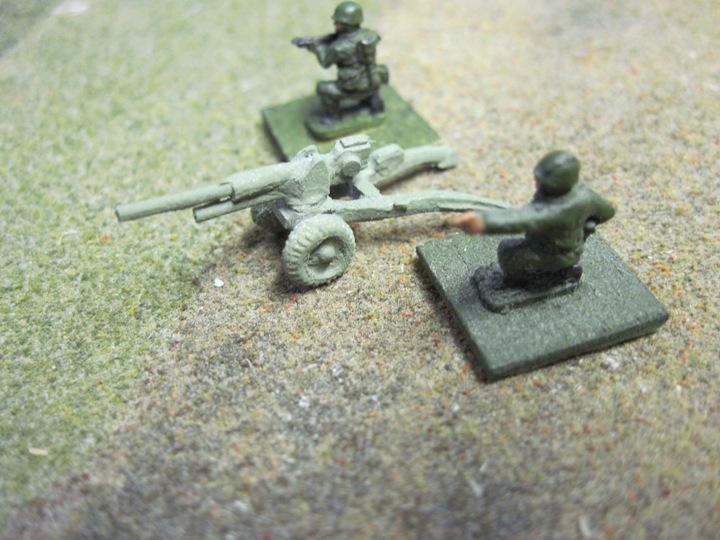 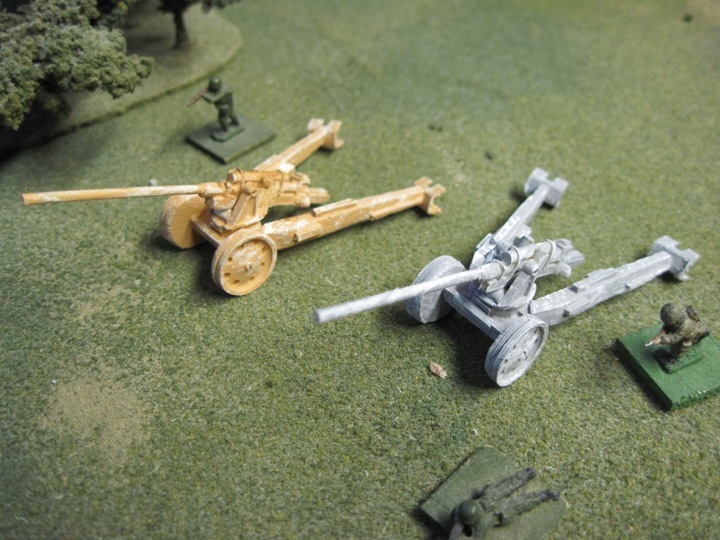 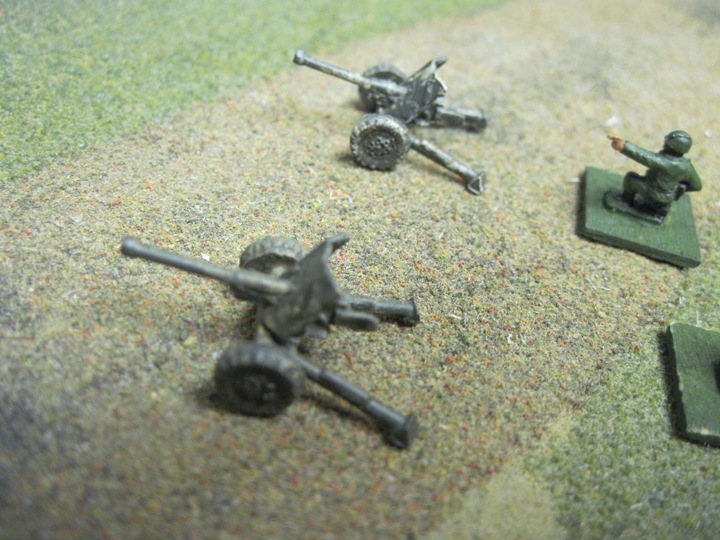 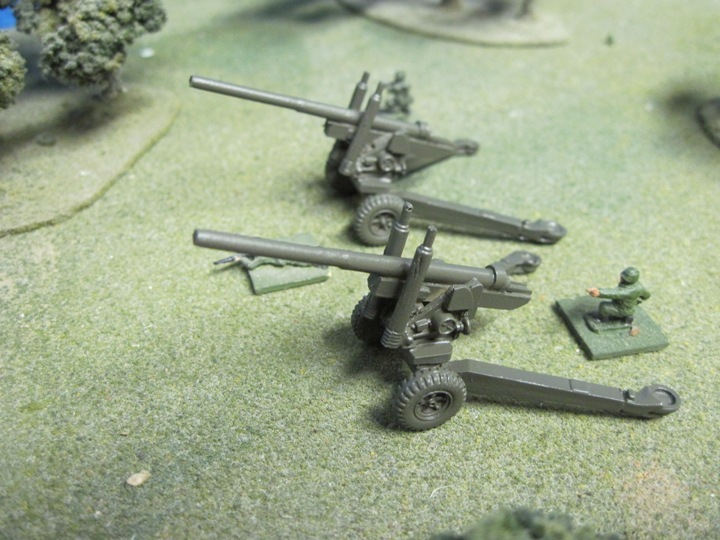 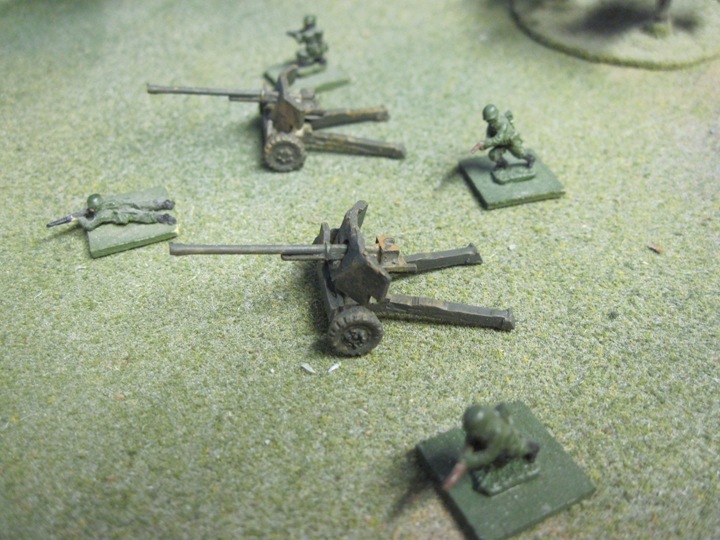 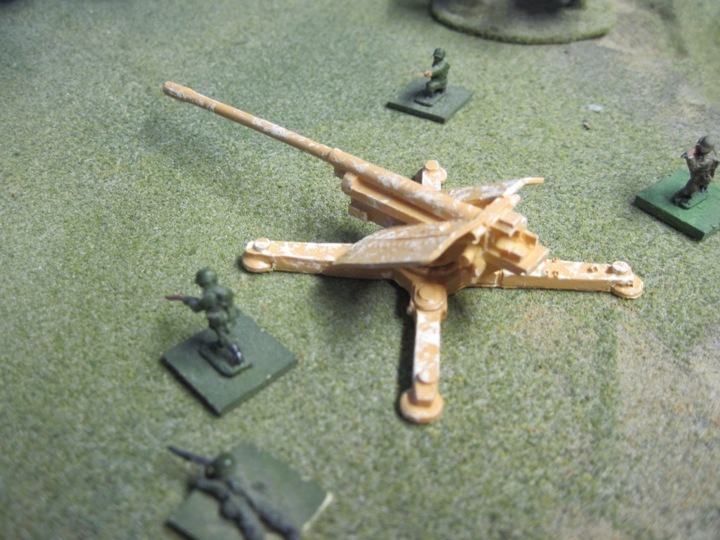 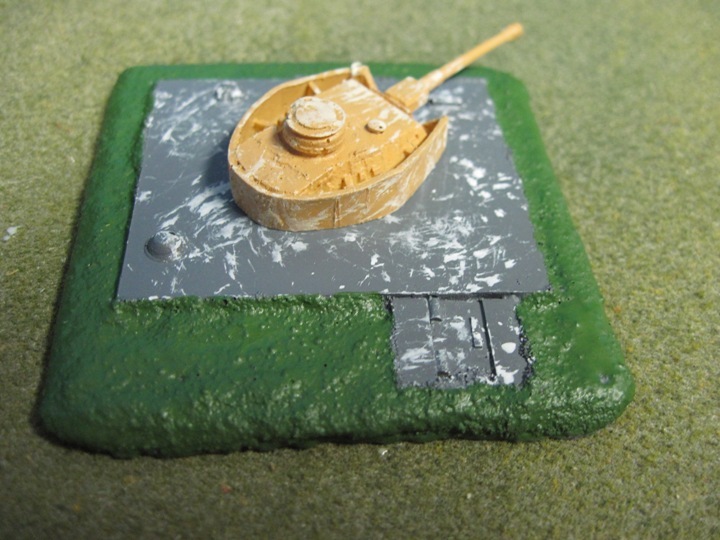 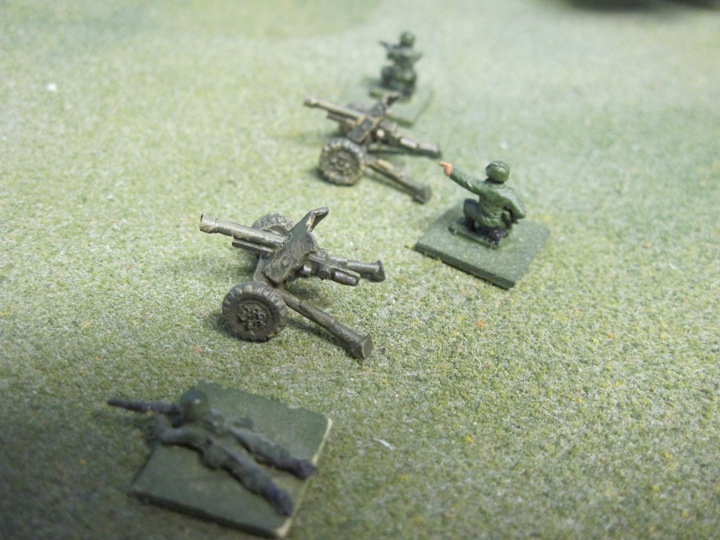 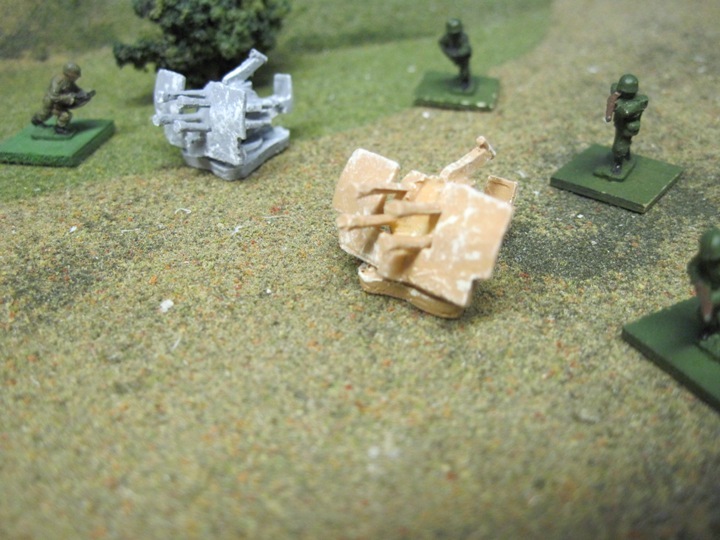 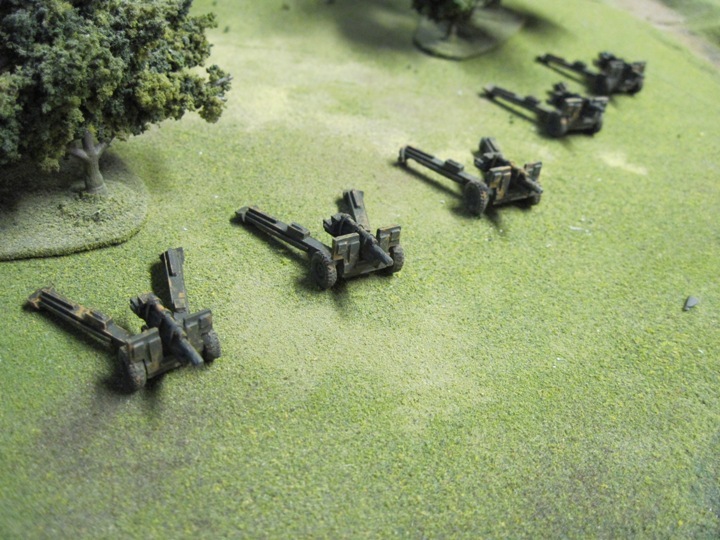 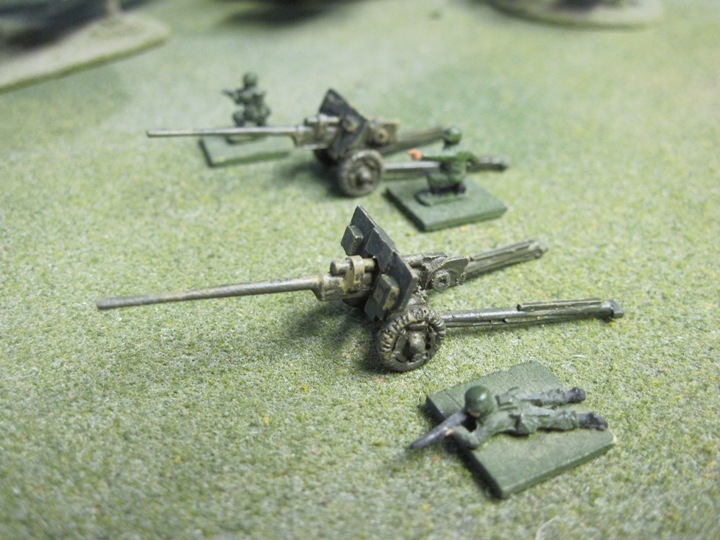 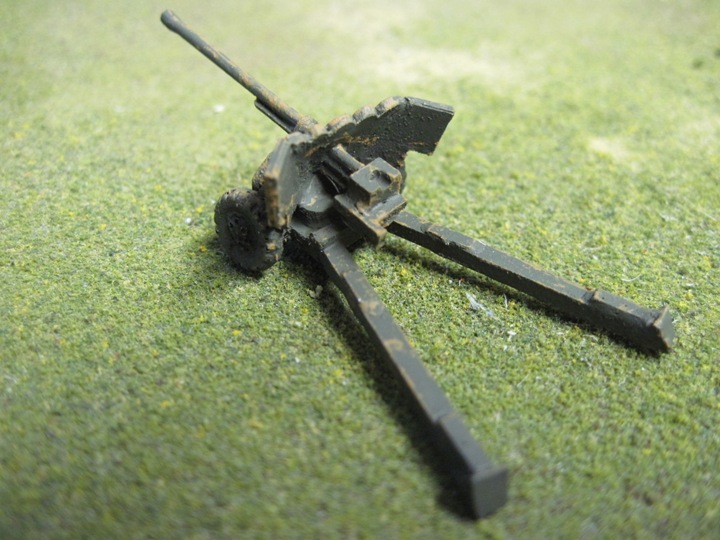 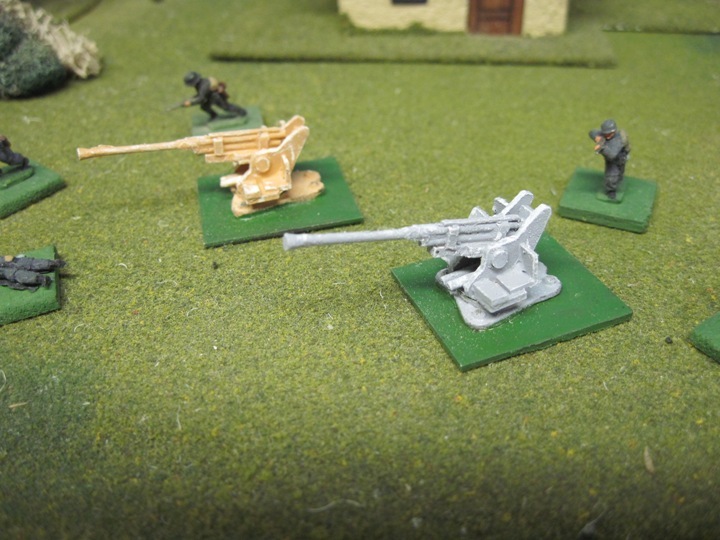 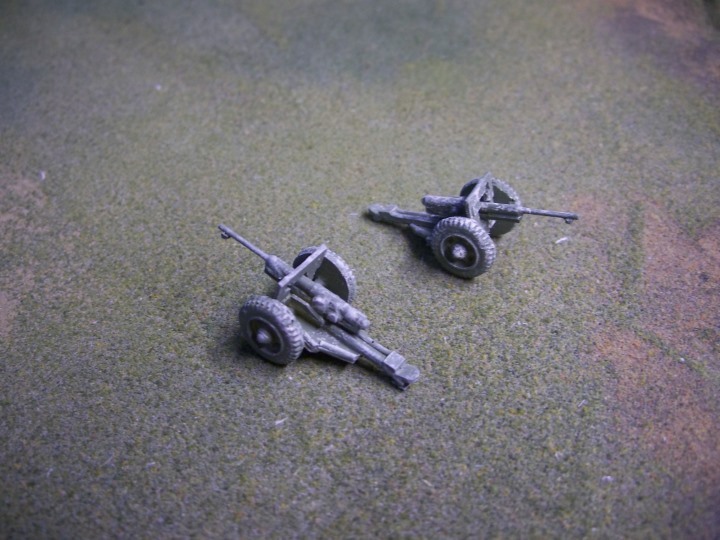 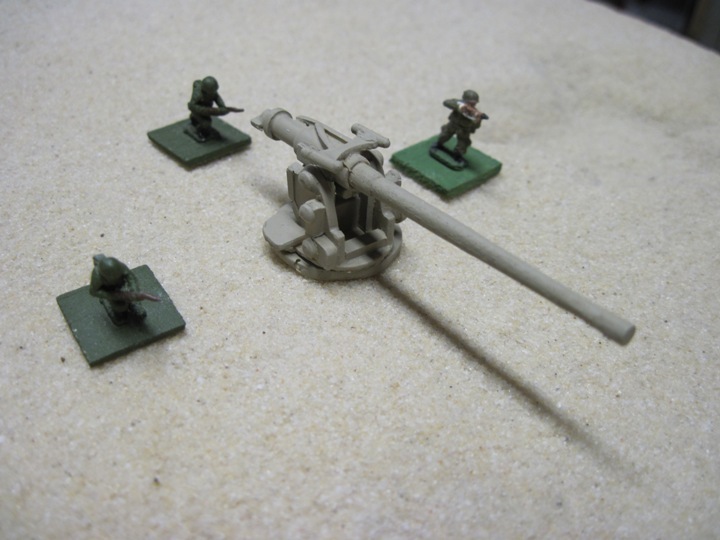 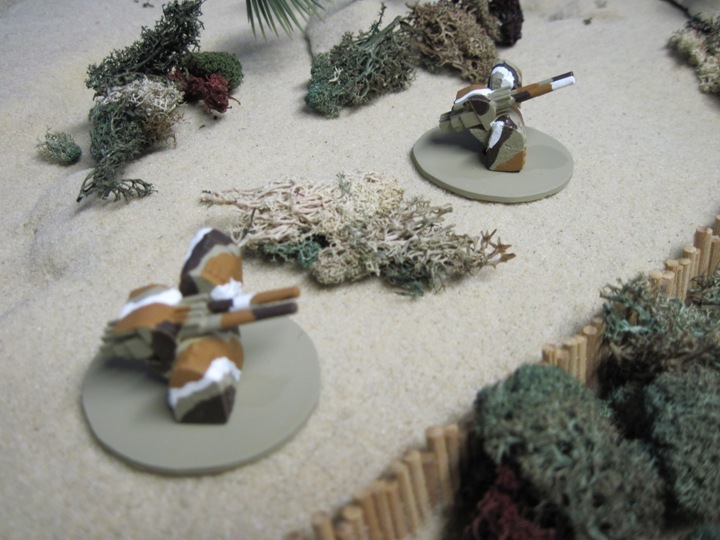 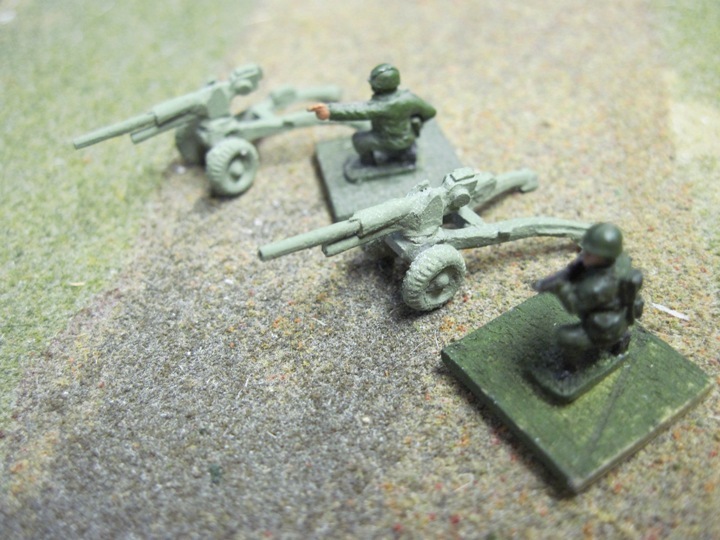 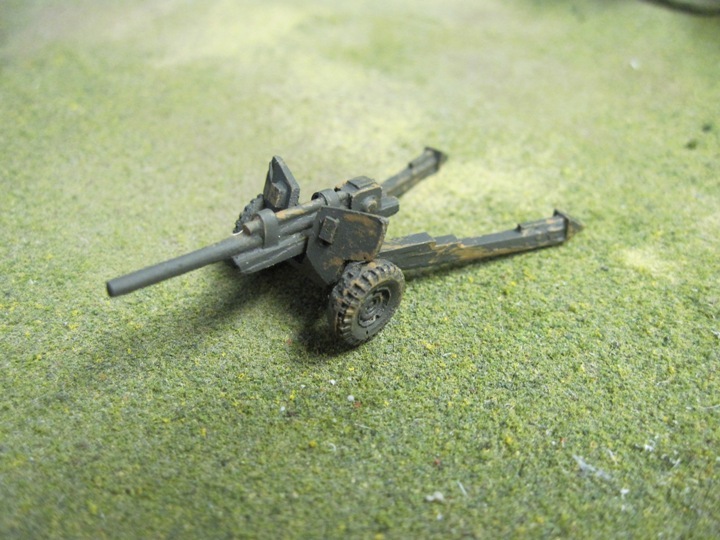 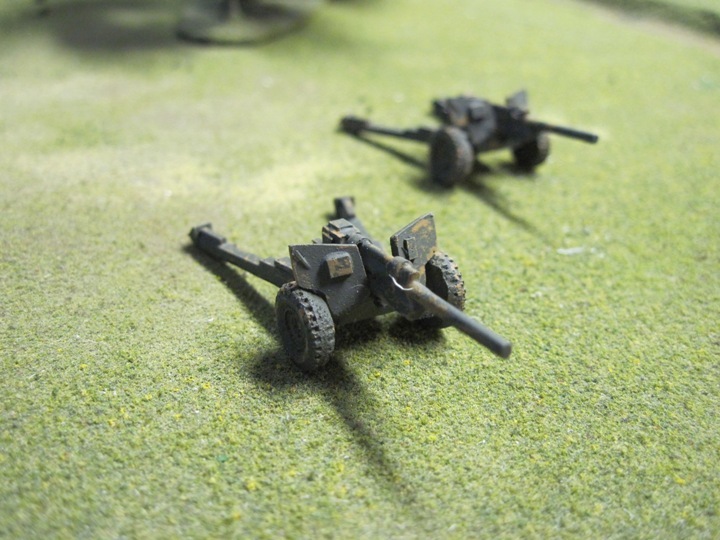 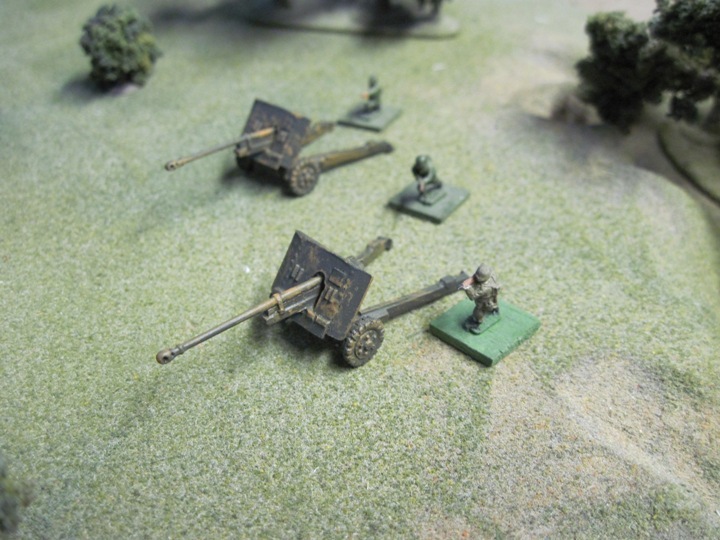 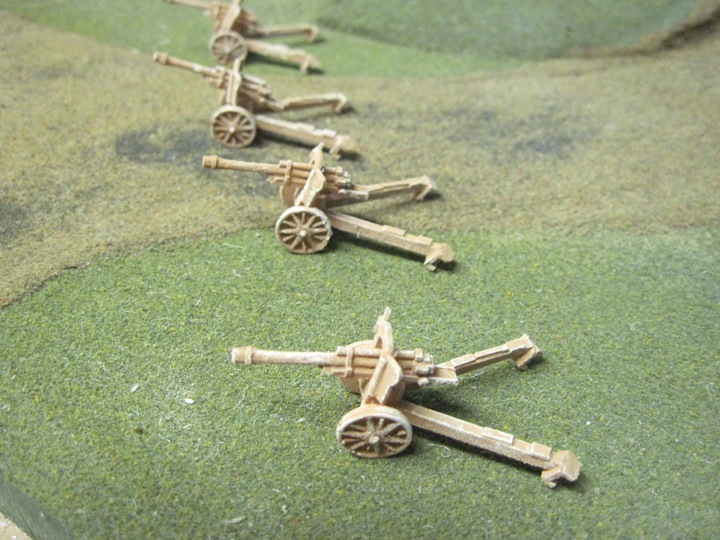 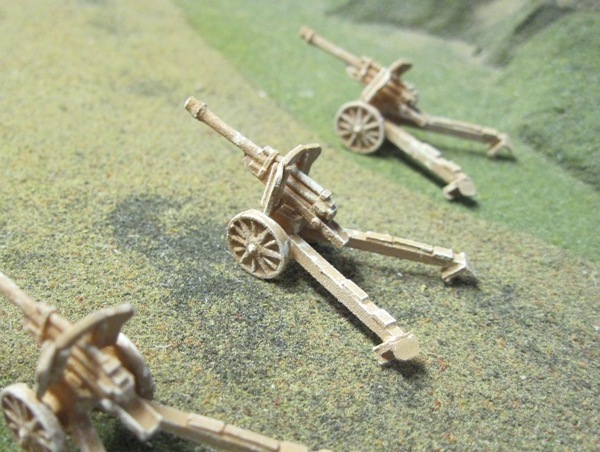 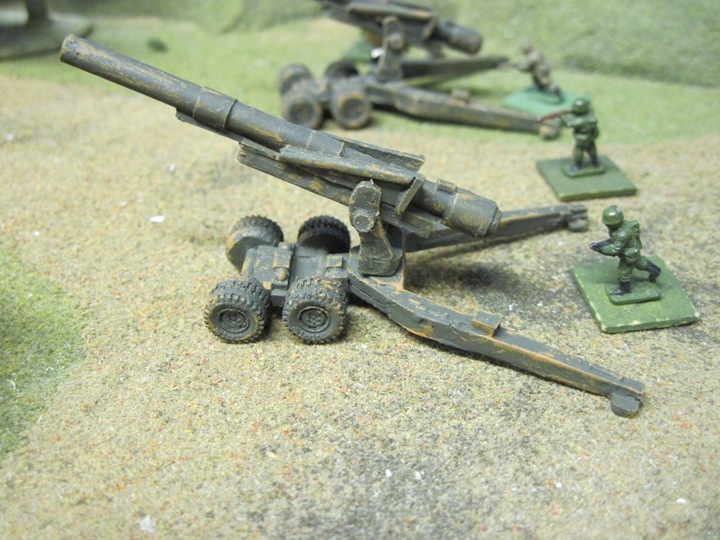 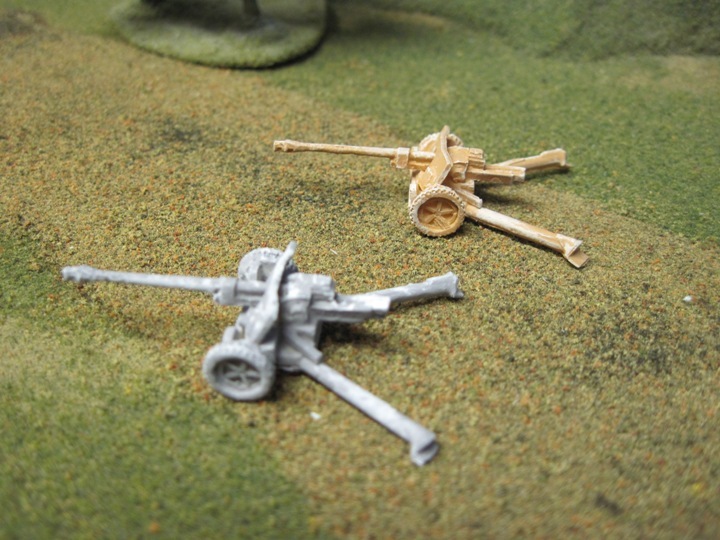 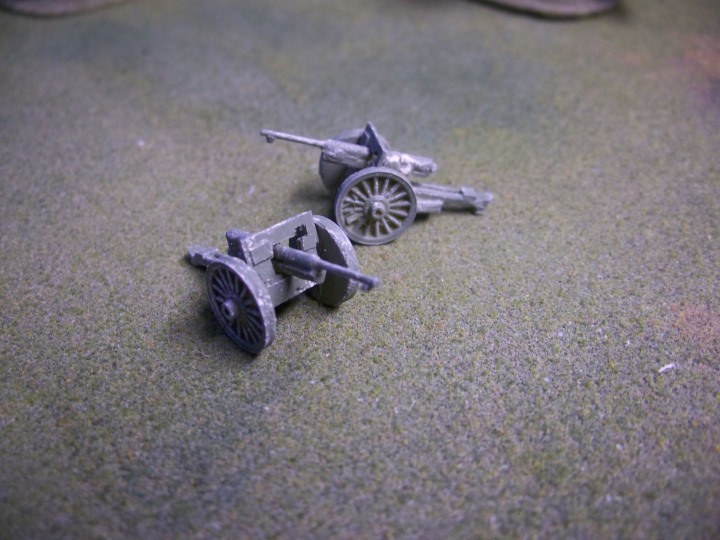 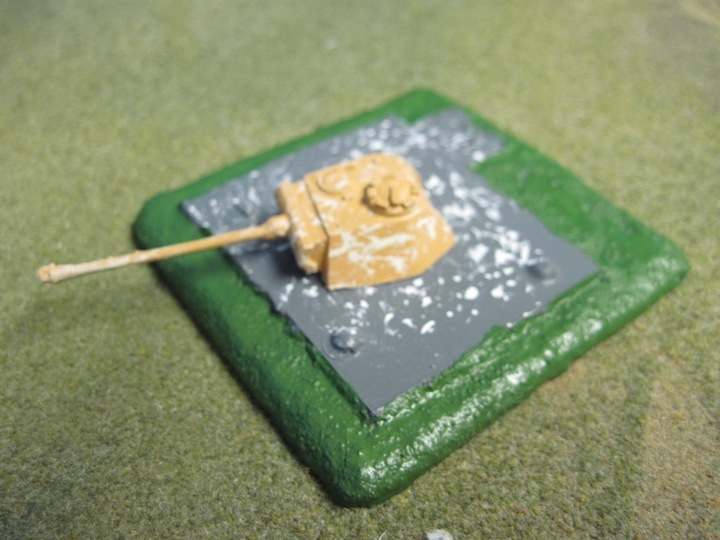 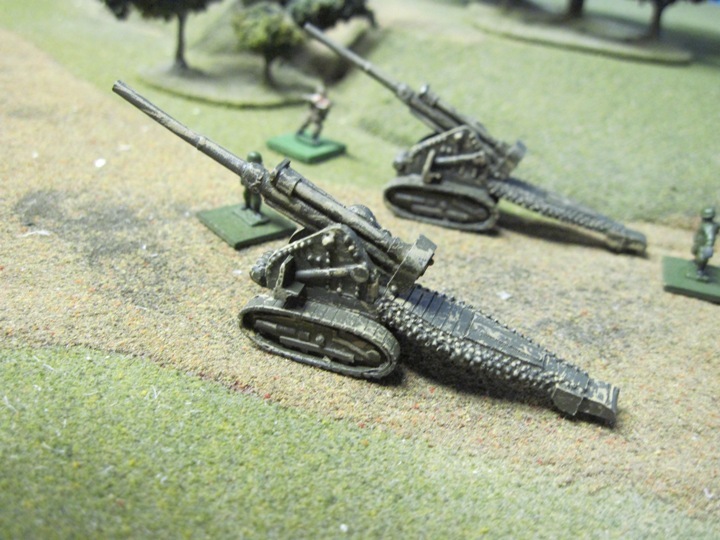 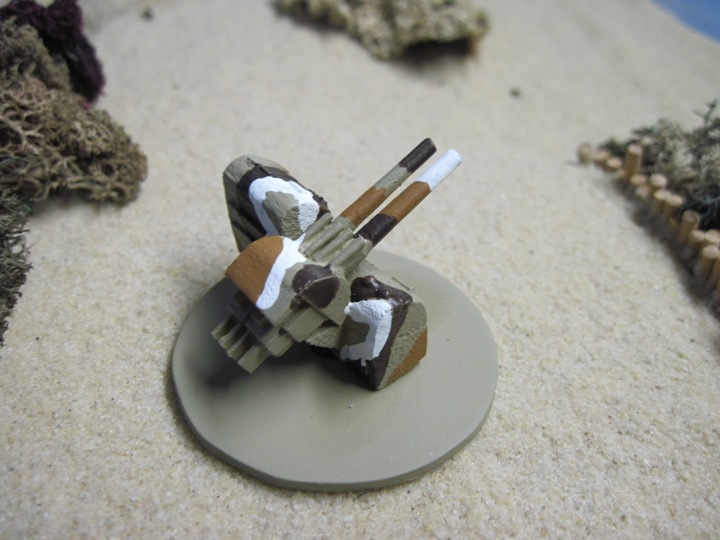 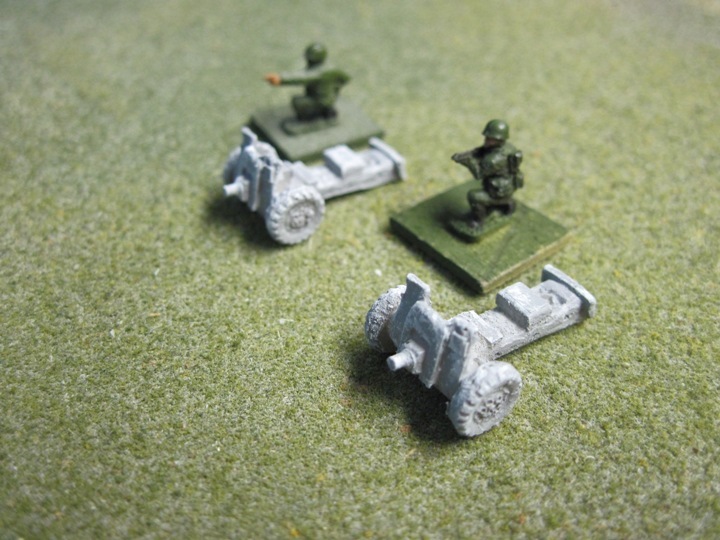 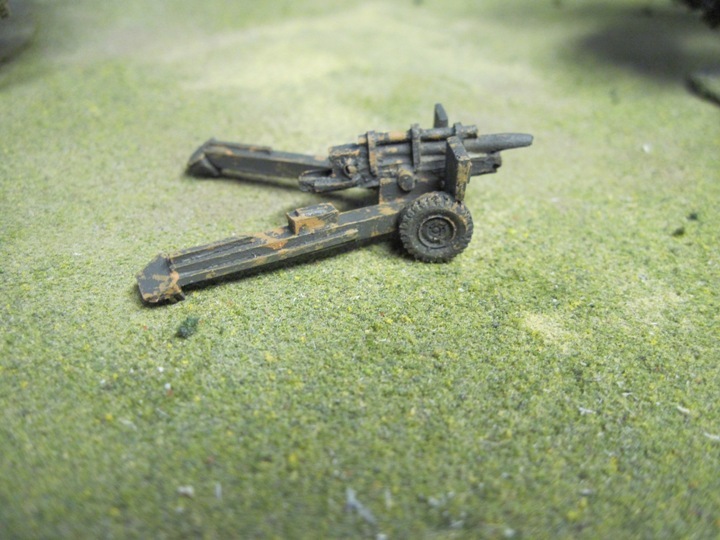 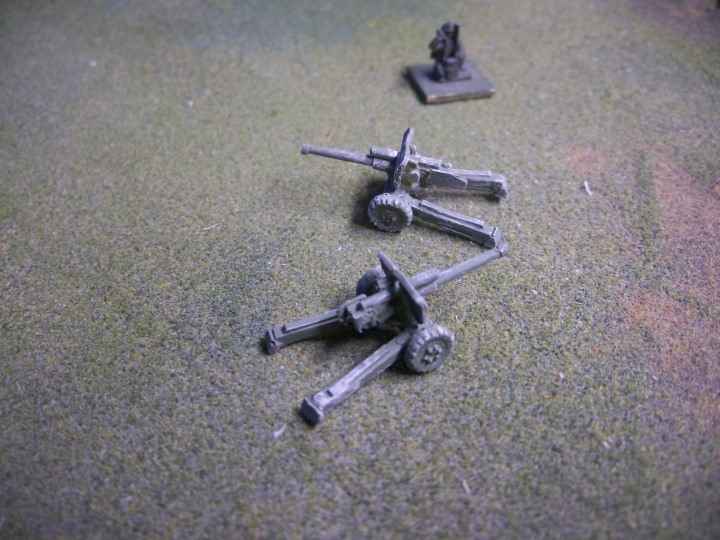 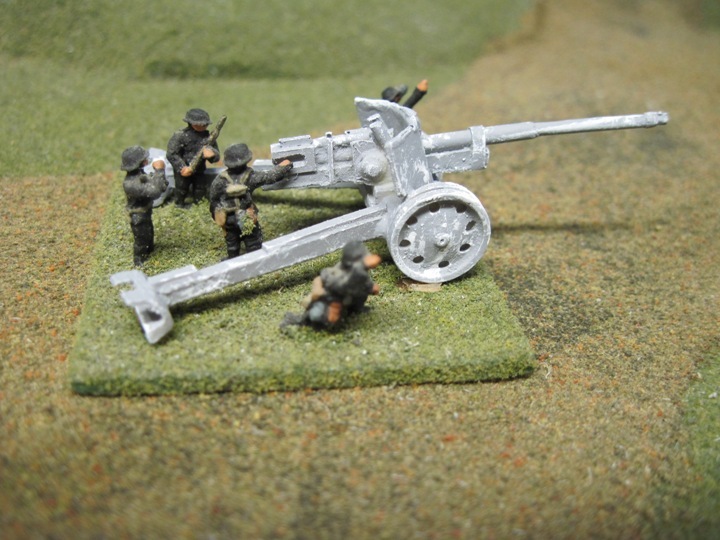 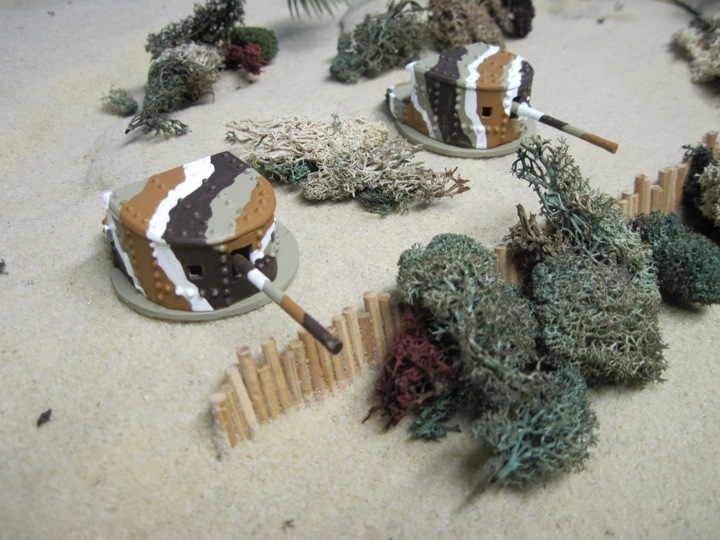 These guns are simple, sturdy battlefield representation pieces for gaming purposes. 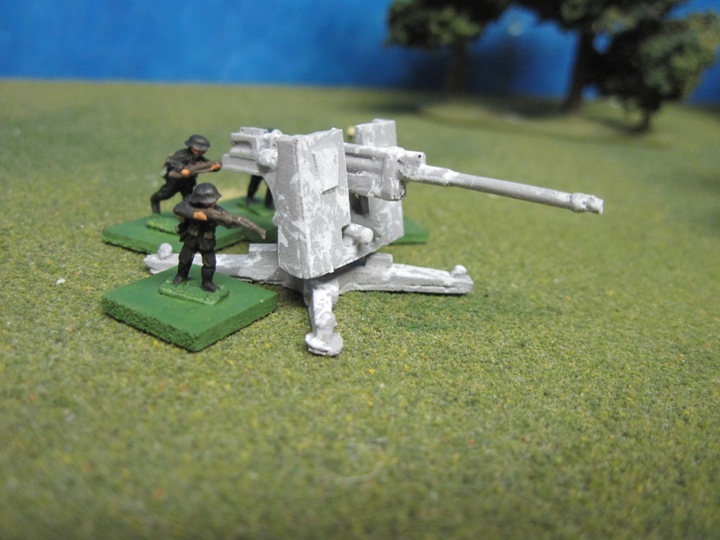 They are made with the gamer in mind to be a reasonable low cost alternative. 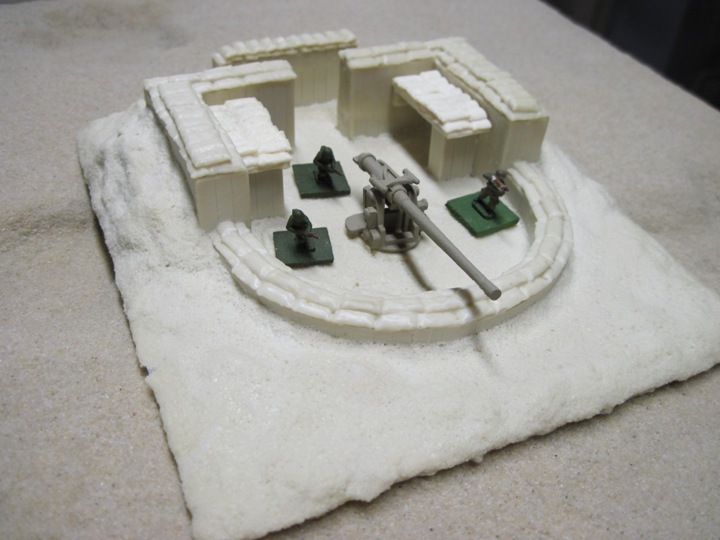 They are not intended to be fine scale models. 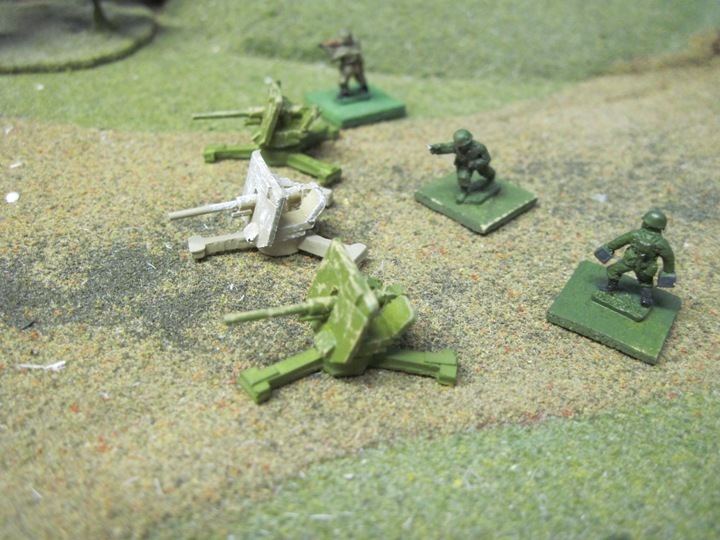 They come assembled, painted and ready to use. 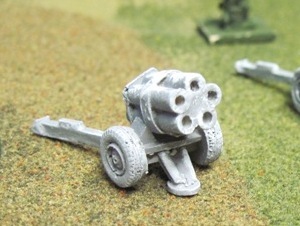 They can be unpainted at the buyers request. 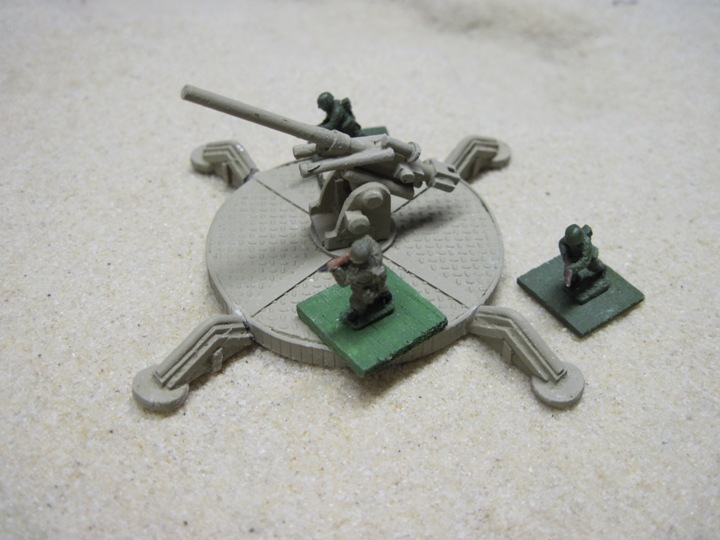 Please note our models do not come with figures as there are many figure manufacturers out there with crew figures available. 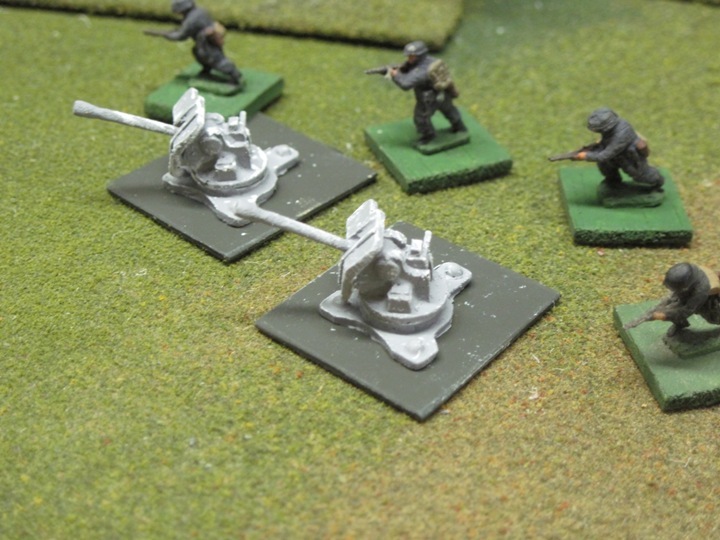 Our plans are to make the major British, Japanese, Italian, French, Polish, Belgium, US and Russian guns. 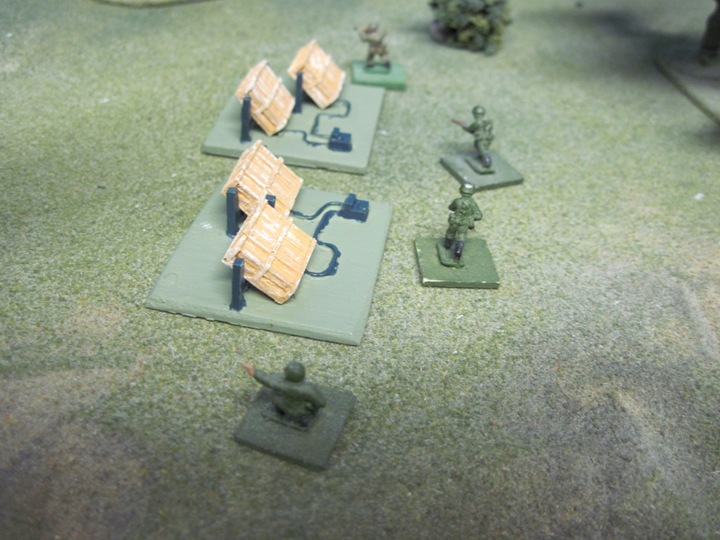 Requests for different types of field pieces are welcomed and can only be released as benchwork allows. 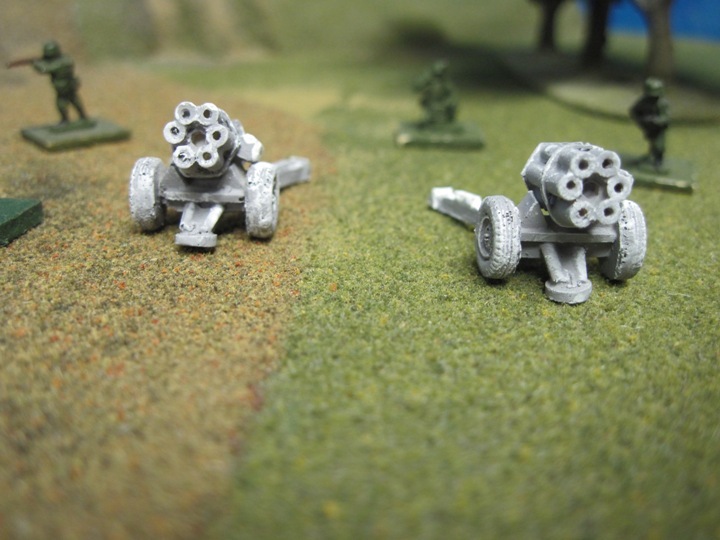 6" x H 7/8" x D 7 1/4"
W 6" x H 1 1/2" x D 7"